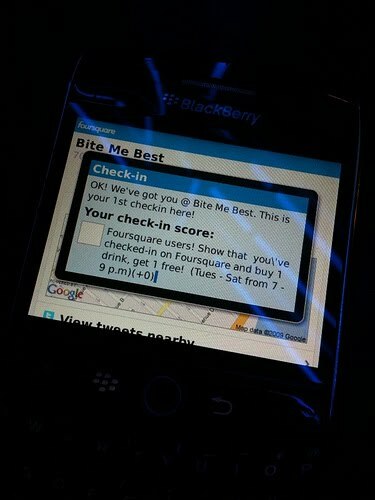 Foursquare's BlackBerry app is coming along! "Some bugs still," Foursquare cofounder Dennis Crowley notes on this Flickr image, "but there's about 50 alpha testers plugging away!" Crowley's comments suggest the app will be ready in "early December." You can sign up for beta testing here. Foursquare opened up 50 more cities last week, bringing its total to more than 100. The mobile social networking company raised $1.35 million in Series A financing earlier this year. และแน่นอน 50 เมืองที่ foursquare รองรับ รวมถึงกรุงเทพมหานครด้วย! !